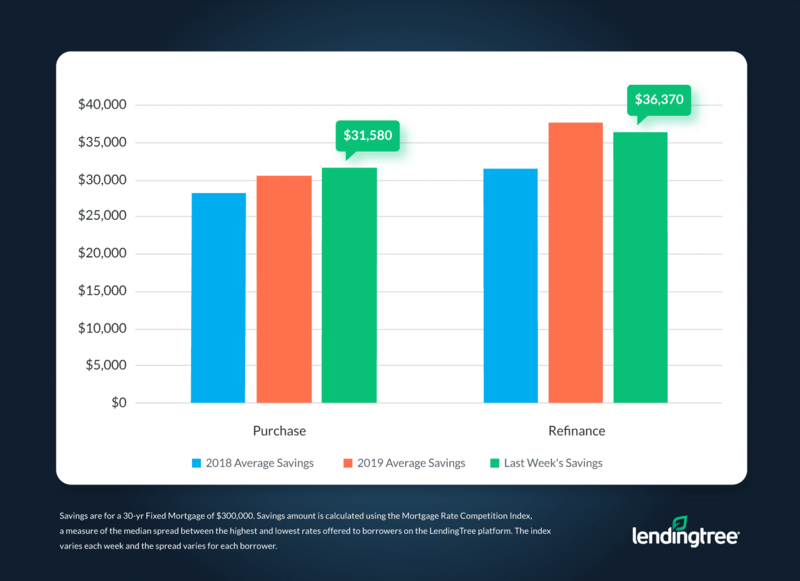 Homebuyers could have seen median lifetime savings of $31,580 in interest on a $300,000 loan by comparison shopping for the best mortgage rates. Feb. 19, 2019 — Charlotte, N.C.
For the week ending Feb. 17, 2019, the share of borrowers with rates under 5% was slightly more than 84%. For 30-year, fixed-rate mortgages, 84.2% of purchase borrowers received offers of 5% or less. That is down from 87.8% of borrowers the previous week. A year ago, 88.2% of purchase offers were under 5%. 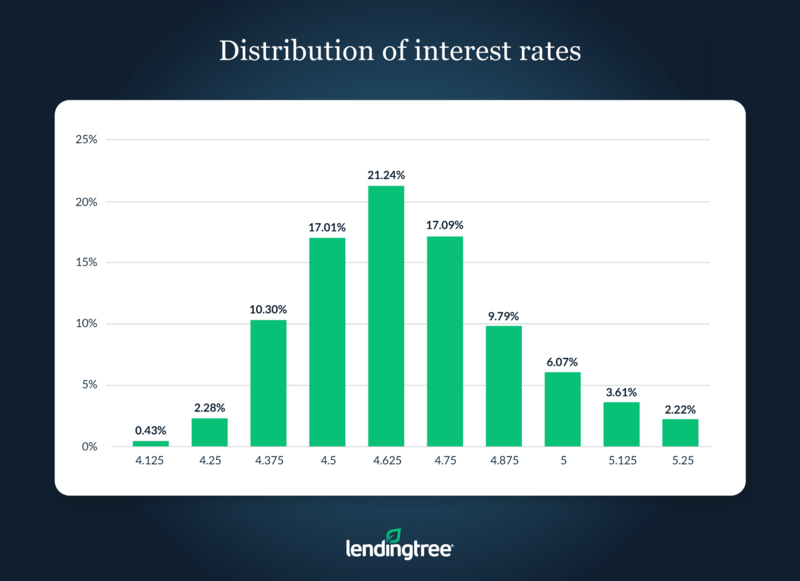 Across all 30-year, fixed-rate mortgage purchase applications on LendingTree, 4.625% was the most common interest rate. This rate was offered to 21.2% of borrowers. Of 30-year, fixed-rate mortgage refinance borrowers, 80.5% received offers 5% or less, which is up from 78.8% of borrowers the previous week. A year ago, 85.1% of refinance offers were under 5%. Across all 30-year, fixed-rate mortgage refinance applications, the most common interest rate was 4.625%, offered to 20.7% of borrowers. 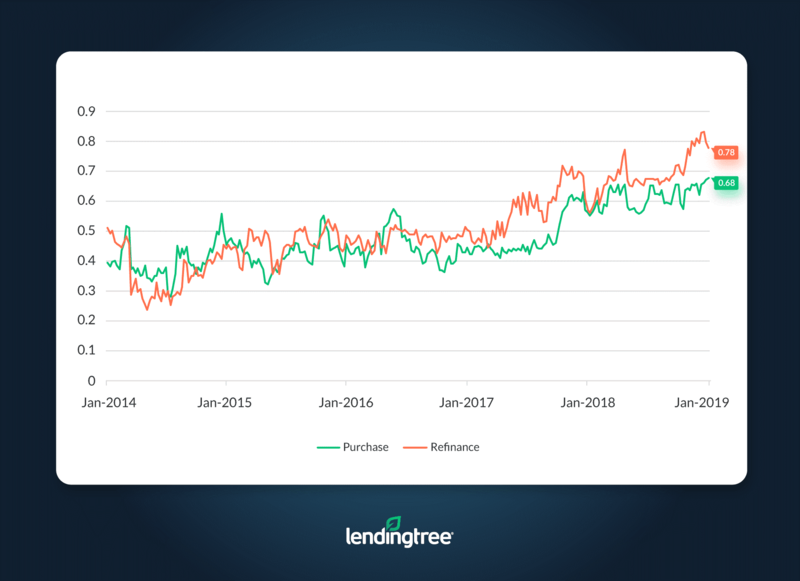 Across all 30-year, fixed-rate mortgage purchase applications on LendingTree, the index was 0.68, up from 0.67 the previous week. How big of a deal is it to get a mortgage APR that’s 0.68 percentage points lower than the competition? Over 30 years, that could translate to $31,580 in savings on a $300,000 loan (see Mortgage Savings Tracker graphic below). The index was wider in the refinance market at 0.78, the same as the previous week. Refinance borrowers could have saved $36,370 by shopping for the lowest rate. The distribution of rates — and as a result, the Mortgage Rate Competition Index — has widened as rates increased, reflecting how mortgage lenders may change the rates at which they can offer consumers loans, depending on their unique business circumstances. Want to learn more about what economic factors influence mortgage rates? 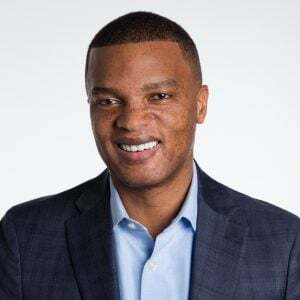 Check out this article on LendingTree. The LendingTree Mortgage Rate Competition Index is a proprietary measure of the dispersion in mortgage pricing. 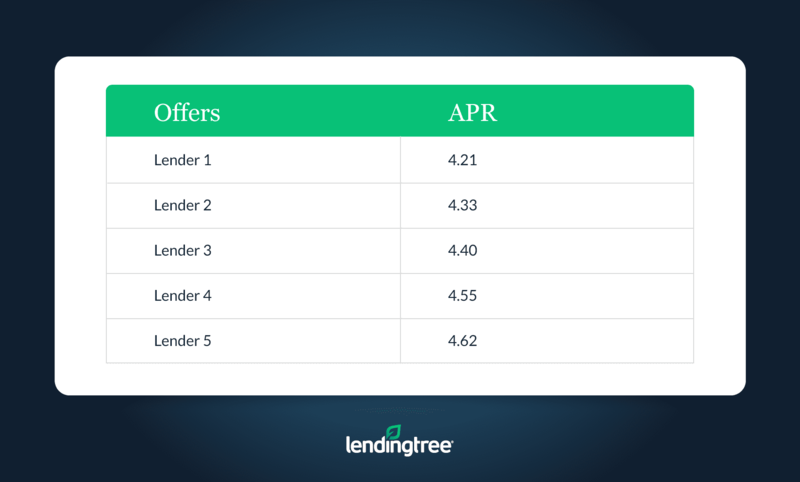 It measures the APR spread of the best offers available on LendingTree relative to the least competitive (i.e., the highest) rates on 30-year, fixed-rate mortgages. Our research shows that mortgage rate competition varies with the financial and operational measures of activity in the mortgage markets. 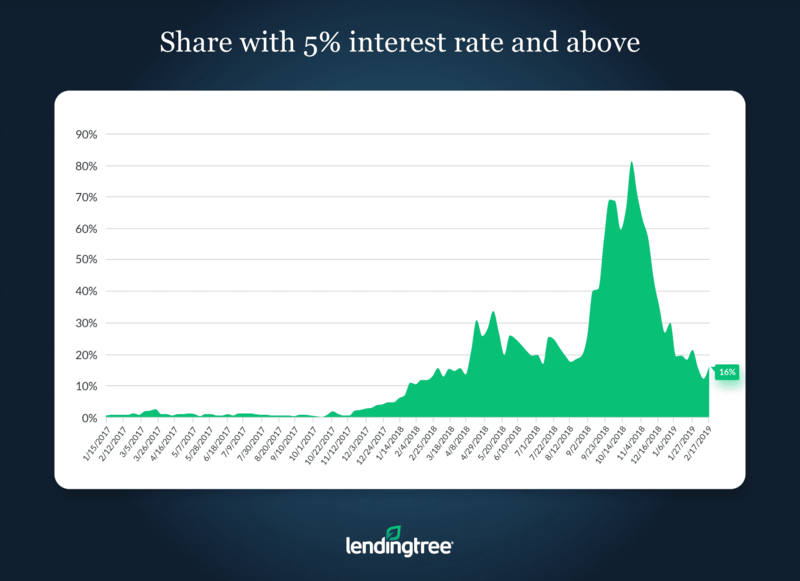 More details on the index are available in a white paper on LendingTree’s website. The spread is the difference between the highest and lowest offers, in this example, 4.62-4.21=0.41. We repeat this calculation across 30-year, fixed-rate mortgage loans that week and then find the median of the individual spread, which is our index value for that week. This is done separately for the population of purchase and refinance loan requests.